A page from Nursing. Via Facebook. Imagine you’re in hospital. 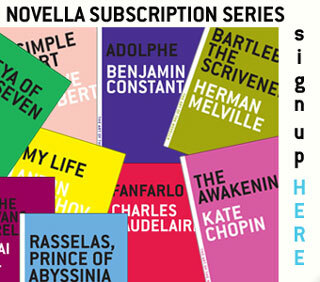 Perhaps from repetitive strain injury after reading too many excellent Melville House books. May not request pain medicine but instead thank Allah for pain if it is the result of the healing medical process. Pain is considered a test of faith. Muslim clients must endure pain as a sign of faith in return for forgiveness and mercy. Chinese clients may not ask for medication because they do not want to take the nurse away from a more important task. Indians who follow Hindu practices believe that pain must be endured in preparation for a better life in the next cycle. Blacks often report higher pain intensity than other cultures. They believe suffering and pain are inevitable. Jews may be vocal and demand assistance. They believe pain must be shared and validated by others. Hispanics may believe that pain is a form of punishment and that suffering must be endured if they are to enter heaven. They vary in their expression of pain. Some are stoic and some are expressive. Native Americans may prefer to receive medications that have been blessed by a tribal shaman. They may pick a sacred number when asked to rate pain on a numerical pain scale. I’m a white Brit so presumably I’ll mumble an apology for making a nuisance of myself and ask for a nice cup of tea… but of course the section contains no advice on how to deal with white people. 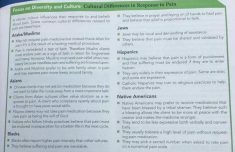 While differences in cultural attitudes towards pain are an important topic in medical programs, we presented this information in an inappropriate manner. We apologise for the offense this has caused and we have removed the material in question from current versions of the book, electronic versions of the book and future editions of this. In addition, we now are actively reviewing all of our nursing curriculum products to identify and remove any remaining instances of this inappropriate content that might appear in other titles. The book was originally published in 2014, which means it has only taken three years for a book that presents shocking stereotypes as facts to come under scrutiny. It makes you wonder: How many other textbooks out there contain similar “advice” for health professionals?